One single journey, multiple experiences: visit metropolitan cities of Sydney and Melbourne, explore Lord Howe Island for a sophisticated island getaway. Lord Howe Island is encircled by the world's southern-most coral reef and was inscribed on the UNESCO World Heritage. Around 75% of the island is permanently preserved as marine park and subtropical rainforest. 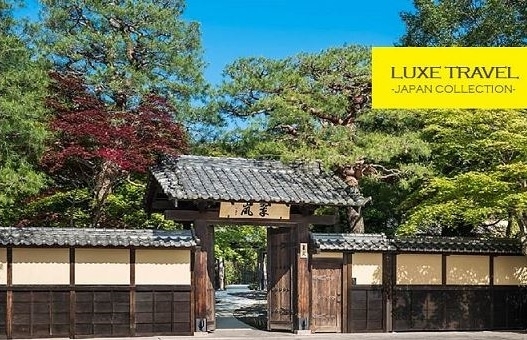 Discover a unique, tasteful and unforgettable journey with Luxe Travel! One single journey, multiple experiences: visit metropolitan cities of Sydney and Melbourne, explore Lord Howe Island for a sophisticated island getaway. Stay at Capella Lodge, a luxury lodge of Australia, in World Heritage Listed Lord Howe Island. Mountain, sea and luxury are all there for Luxe Travel Insiders. Enjoy impeccable view of Lord Howe Island and magnificent views over the lagoon by hiking to the Kim's lookout, one of the most popular walks in Australia. Snorkel at lagoon full of rare species of fish, coral and other marine life. Depart from Hong Kong to Sydney. Enjoy your leisure time in Sydney city center. Wine tasting at cellar doors in the beautiful Hunter Valley is a delightful way to explore what Luxe Travel Insiders like in a wine. With only 2.5 hours driving distance from Sydney, discover this renowned wine region of Australia and enjoy a day of culinary exploration. Head to Lord Howe Island. Relax at the hotel and be captivated by mesmerising views of the mountains and turquoise lagoon stretching to the horizon from the Lodge’s indoor and outdoor lounging areas, the restaurant and suites. With clear views over the Pacific Ocean and the world’s southern-most coral reef, Capella Lodge, a member of luxury lodges of Australia, rests above Lord Howe Island’s tiny, secret beach at Lovers Bay and at the foot of the imperious twin peaks, Mounts Gower and Lidgbird. As well as being one of Lord Howe’s most postcard perfect beaches and a great spot for snorkelling, in 2005 Neds was voted Australia’s cleanest beach. Ned’s is also where the Island’s fish will come to you. Be part of a tradition that has enchanted visitors and locals for generations – any time of day make your way to Neds and feed the mullet, wrasse, garfish, silver-drummer, spangled-emperor and of course the royalty of Lord Howe fish, metre-long kingfish. Snorkel, scuba dive, kayak or join a glass-bottom boat tour of the lagoon. The crystal-clear waters of Lord Howe are home to more than 500 species of fish and 90 species of coral. Melbourne, Australia has been recognized as the best city in the world to live, topping the Economist Intelligence Unit’s (EIU) Global Livability Index. Enjoy your leisure time in Melbourne and don't forget to take your time and enjoy a cup of coffee. Take off and return to Hong Kong. *The above itinerary is a suggestion only. Enjoy a very different lifestyle in Lord Howe Island. There are just 300 permanent residents on the island. Visa is required to enter Australia if you are holder of HKSAR passport. Please contact Luxe Travel Specialist for assistant or simply arrange on official website. *Terms & Conditions: 1.Prices are quoted per adult travelling together with accommodations based on twin share, round trip air tickets departing from Hong Kong excluding personal expense & gratitude. 2. The above itinerary is suggestions only and expenses are on traveller's own account. Prices are correct on 14th Mar 2019, subject to change without prior notice due to fluctuation on exchange rate. Please consult a Luxe Travel Specialist for a real time quote & availability. 3. Pictures are for reference only. 4.In case of disputes, the decision of Luxe Travel Limited shall be final.